So I used a 5lb picnic roast to make some carnitas, dry rubbed with cumin, oregano, salt, pepper, and cayenne then seared in my cast iron. Added onions, jalapenos, lime juice and chicken stock, slowcooked on low for 12 hours then shredded. Strained the juice, added it back to the pork and stored in the fridge overnight. 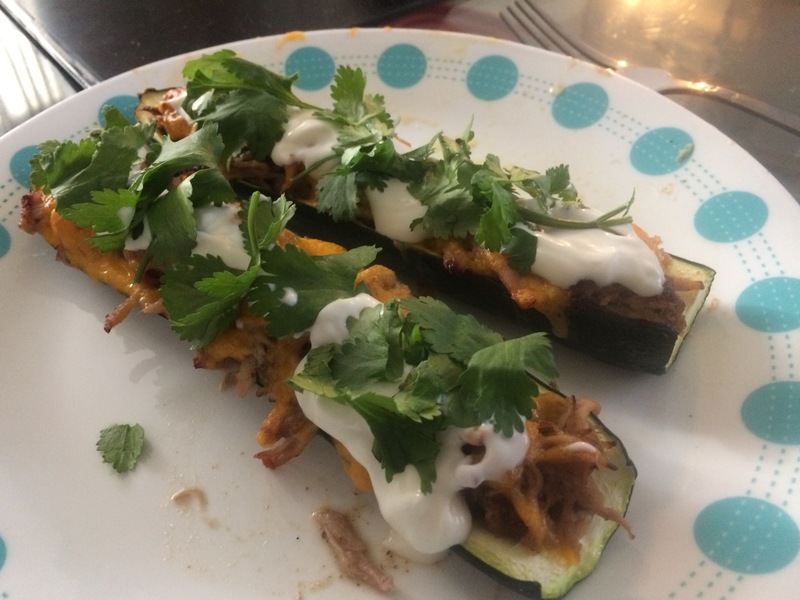 Hollowed some zucchini and baked at 350f for 20mins, added carnitas baked for another 20 mins, added cheddar, back in oven to melt the cheese, topped with sour cream and cilantro.